Labour's Brexit strategy? ... actually, they haven't got one. At best, it's just a glorified vulture-tactic: circle aimlessly, high above the ground, in the hope that something keels over and dies under your nose. Reading a range of leftist contributions aroud the www, the only sub-group with a clear slogan are the ones who want R2. But Labour commentators who see just a few tiny problems with R2 - as anything that might benefit Labour specifically, or even as just a genuinely practical proposition - see things in a much more problematic light. Try this, from Little Owen Jones, for example. OJ's pieces of late have become highly structured masterpieces of equivocation. Each time he writes, he has to go through the ritual of praising Corbyn to the skies - his punishment for having dared to doubt the master for just a very few weeks last year - and mapping out just how awkward everything is. But, whisper it softly, he is gradually becoming less sycophantic in substance, his regular and well-argued conclusion being: there might not be much here for us. It's not greatly different from a host of other writers on the left, who are all enjoying the spectacle of the Tory and DUP lions and hyenas scrapping; but are otherwise pretty much reduced to wringing their hands. Oh, it's all so difficult to know what to do. 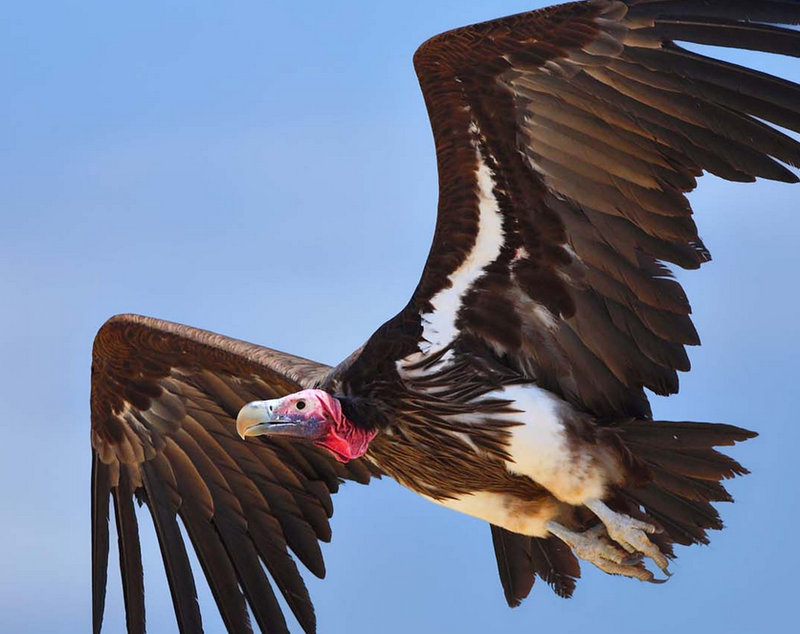 Yes, the vulture doesn't actually have to do anything as dynamic and skilful as hunting something down and despatching it. You could see why that counsel of idleness suits a perennially work-shy git like Corbyn. Less obviously, even the hard-driving McDonnell is also given to waiting and watching - because he's a marxist, whose belief-system is that it is all going to turn out right on the night, courtesy of the Hand of History. He's sure he'll eventually find something dead on the veldt - the bloated body of capitalism, to be precise - on which the proletariat can gorge. The lions and hyenas have to do something pretty stupid for this to be the outcome. Some of them have fairly few brain cells, it's true. But they operate in prides and packs, the collective wisdom of which is probably adequate for the task of ensuring no lunch for the vulture. It's difficult for Labour - they have to work out whether they can damage the British national interest most by going for Brexit or Remain. May’s obdurate autistic stupidity, aided by the cowardly Tory MPs, means we’re going to get no deal. Excellent. Owen Jones and his ilk would feel at home in North Korea - perhaps that's what they're practicing for? Anyone in that benighted country who aspires to get on has to preface any statement, proposal, essay or whatever with ritual obeisances to the Glorious Leader. Next time we see little Jones in the company of Corbyn, will he be holding a notebook at the ready, prepared to write down every pearl of wisdom? I think they want nothing to do with brexit if they can get away with it. Following your metaphor they want to keep circling until the prey is properly dead - and so is everything else. Otherwise their internal divisions are made plain too. The smart way out (for lab) is to not make a choice. The best way of not making a choice is to have a free vote on may's deal, and when that fails to have another referendum. May's deal does not meet the definition of brexit most brexiters voted for and to be fair never had a chance. The really interesting question is what is the question? But - to echo the claims that people voting leave did not know what they were voting for - what does a vote to stay mean? What will be the outcome of trying to cancel article 50. I currently think it means as if we never invoked A50. Split the leave vote. Job done. I would refuse to vote in any three way ref. It's going to be WTO. I don't see how anything other than that outcome happens. Second referendum? Can't happen. Can you imagine the debate over what the options would be, and how they would be worded? Never mind the campaign phase, which would be violent and, I would have thought, lethal. Who wants blood on their hands? Revoke A50 and remain? While your average Labour voter would still vote for the person wearing the red rosette even if their MP voted to remain against the wishes of their constituents, Tory voters won't stand for it, and Tory MPs won't want to lose their seats over it. There's no parliamentary majority for any decision to be taken, so it's the default option - WTO/No Deal/Hard Brexit or whatever your favoured faction calls it. Whatever form Labour may take at any time, it's prime MO is that it is tribal. Ergo. Alone, that is enough reason never to vote for them. That c40% still seem to think it a good idea suggests that somebody dosed the water supply. No other reason I can think why so many think Corbyn a good idea. He's a four letter word. "can you imagine the debate over what the options would be, and how they would be worded?" ... and that is why I think it will happen - the debate. Maybe it was ever thus but we do seem to be in a time where reasoned discourse seems to be on the decline, expertise is counted as a negative, a political system that promotes incompetant, lazy, overconfident, delusional leaders, and a national system that ignores events outside the M25. Andrew, I would suggest argue not only that expertise is counted as a negative, but that often driven by those who are touted as experts have been compromised in that their expertise often relies on appeals to authority and self-referential 'expertise' rather than having anything meaningful or useful to say. Also as an aside many public "intellectuals" relaly are second raters these days as compared to 50 years ago. Experts in general have compromised their integrity by becoming more politicised. I'm thinking particularly of the AGW lobby and the teaching profession. I think this is what Gove meant when he made his widely-derided statement that people have had enough of them. What people have actually had enough of is being told what to do by someone in the pay of a political body, with a hidden agenda and a shedload of hypocrisy. I think what Gove meant when he made that remark was that people were sick of experts predicting the future - and partcularly the future performance of the economy. I'm certainly sick of that! Experts have great difficulty telling us about the past. Mind you it is really hard to give a good account of a complex event, so i have sympathy. Why are so many doctors fat and smokers ? Why aren't economists rich ? Bitter experience is that they DO get things wrong. Very wrong. Understanable that it's a bit uncomfortable for conservatives to try to square marching in perfect lockstep with comrade Jeremy, especially at a time when the Maybot is running out of battery and blame for a slow down seems to be right around the corner. @hovis @andrew One should also draw attention to the BBC's singular use of the word "expert". Which means someone teaching at a university. The University may once have been Scumborough CFE, but teaching there automatically makes you a BBC "expert"
Dad used to go on BBC Look North as a 'road safety expert' and was no such thing. He had no qualifications whatsoever. Set up a website, some hooky references, CV and a couple of bought in buddies... and then off he went. Years of TV and radio interviews. He had been a mechanic and a class 1 police driver but a 'road safety expert' it did not make. "So Mr *****, please introduce yourself. On live radio I must confess I've never heard of you." "Well it's lucky for you I haven't got Tourette's syndrome then, isn't it !" Having fronted the suspicious interviewer out he got an easy ride.